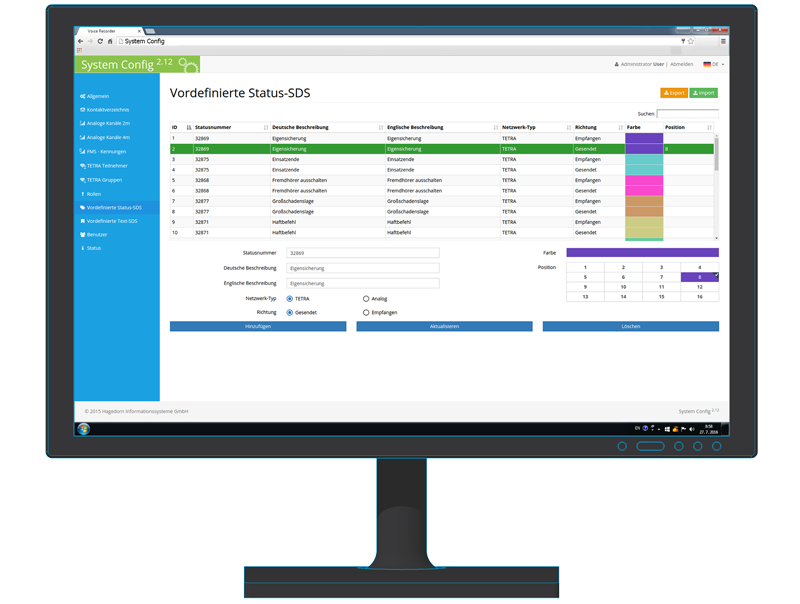 Central clients management with web interface. The System Config is an online tool, which centralizes settings and contacts for clients. It centraly stores many types of settings such as different contact schemes with editing, roles with editing, history storing parameters etc. Many settings can be exported/imported to System Config from/to different sources. System Config is key part of Configuration/Management solution and VTLST Server solution as well.